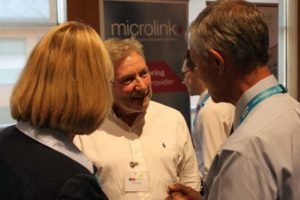 Let’s Listen 2017 was a sponsored charity event to raise awareness of the advances in hearing aid technology and the support which is now available to help the hard of hearing, with particular reference to employees in the workplace and students in educational establishments. 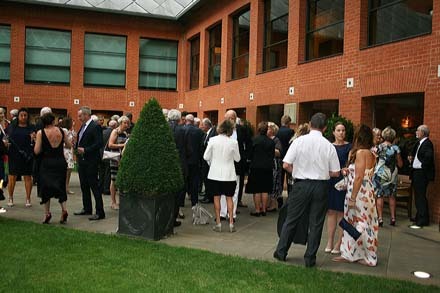 Feltmakers were invited to the exhibition and workshops during the day and/or to the Gala Dinner held in the evening, all at Haberdashers’ Hall. The exhibition was opened by our Master, Jeremy Brassington, and Dr Lorraine Gailey, Chief Executive of Hearing Link. 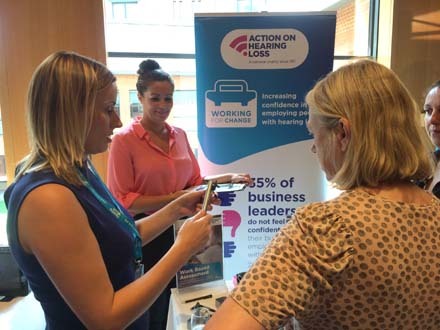 UK’s leading hearing industry and accessibility specialists ran workshops to explore simple, inexpensive solutions to manage hearing loss at work. 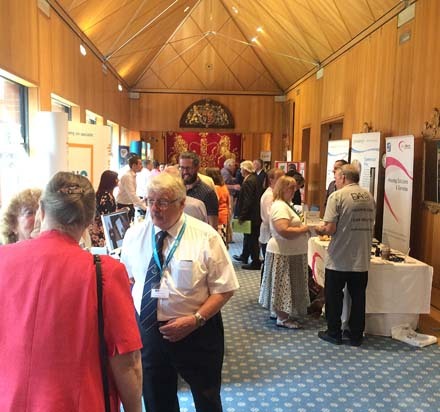 There were 15 sponsors and exhibitors from the hearing and assistive listening industry. 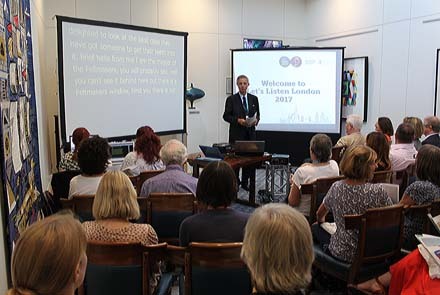 Action on Hearing Loss, Hearing Link and Hearing Dogs, the major charities in the sector, also had exhibition stands. Some 60 disability services delegates from organisations and Higher education Institutions attended the workshop and exhibition area. The Gold Sponsor was Gloria McGregor who has a severe hearing loss and runs a not for profit company called Lipreading Practice. She is the wife of the Spectacle Makers’ Renter Warden, John McGregor, and their dinner party guests included Past Masters Dr Christine Tomkins of the Spectacle Makers and Simon Bartley of the Feltmakers. Conversor Ltd, the Master’s own company, which supplies assistive listening devices and personal amplifiers, was also a sponsor of the event. 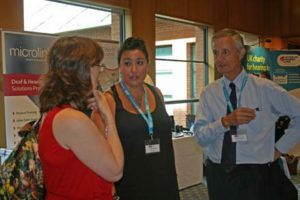 In the afternoon there was a panel session including writer & photo-journalist, Bella Bathurst, musician James Kennedy, blogger & author Laura Lowles, business advisor, writer & public speaker, James Raath and hearing technology expert and Hearing Link volunteer, John Trett, all of whom have overcome severe hearing loss to be successful in their respective fields. 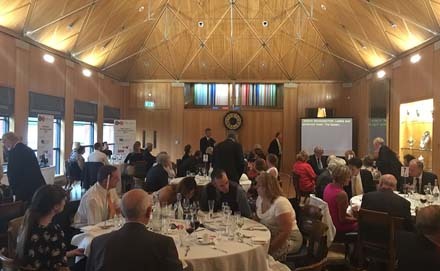 Feltmakers, including several Past Masters, and their partners comprised about 25% of a very well attended Dinner in the evening in the Livery Hall at which Esther Rantzen DBE, one of Hearing Link’s well-known Patrons, was guest speaker. The Master also warmly welcomed the Master Haberdasher, Joff Hamilton. Dame Esther reminisced entertainingly about her days as principal presenter of That’s Life!, a magazine-style TV series 1973-1994 (remember that!) and more recently about her important role in founding Childline and The Silver Line (a helpline for older people). During the course of the evening there was a Silent Auction with some very attractive prizes including a Launer handbag, an Eda Rose-Lawson hat, a dinner and night at a Cotswold House & Spa hotel, vintage port, golf rounds and dinner at Magdalen College Oxford kindly donated by Feltmakers, and a pair of Dents men’s gloves donated by the Master Glover. The very successful and enjoyable event raised a ‘five figure sum’ both for Hearing Link and for the Feltmakers’ Charitable Foundation.